Scripture is God-breathed. But that doesn’t necessarily mean we can apply a verse to every situation. Today on Discover the Word, we invite authors, Randy Richards, and Brandon O’Brien, to help us discern when Scripture’s application is meant to be universal, and when it’s meant to be limited. 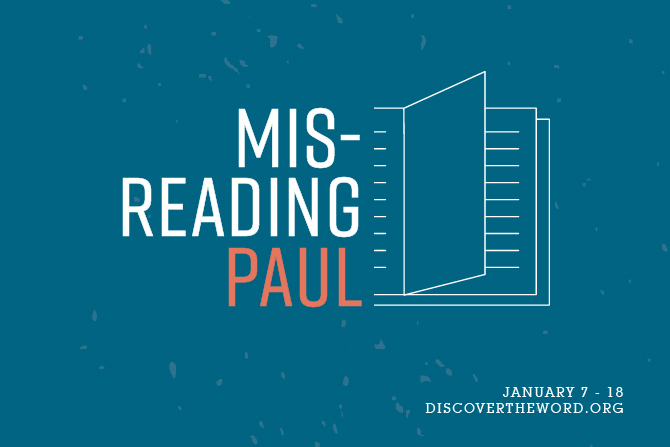 Our series is called, “Misreading Paul” . . . today on Discover the Word!